Match wits with one of Shakespeare’s most dynamic heroines in this hilarious tale of love, music and courage. 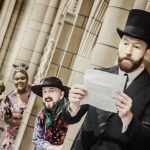 Set in the colorful world of Portugal, Twelfth Night tickles the imagination as Viola disguises herself as a page boy to find her twin brother but finds herself at the center of a crazy love triangle. If music be the food of love, play on! 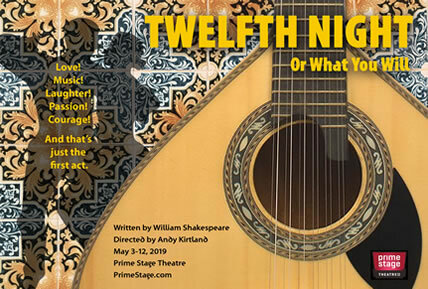 Twelfth Night could be the perfect play to jumpstart a love affair with Shakespeare's works. Twelfth Night was written by arguably the most influential writers in all of English literature, William Shakespeare. It is believed this play was first performed in 1602.- right in the middle of his career, which happens to coincide with when he wrote most of his masterpieces. Shakespeare was commissioned to write the play by no less than England's reigning monarch of the time, Queen Elizabeth I, as part of her festivities to end the Christmastide season known as Twelfth Night. This holiday was celebrated as a festival in which everything was turned upside down—much like the upside-down, chaotic world of the play. Most critics consider it one of his greatest comedies, along with As You Like It, Much Ado About Nothing, and A Midsummer Night’s Dream. While it's unlikely Shakespeare ever imagined his plays would be performed hundreds of years in the future. It is uncanny how his script fits almost seamlessly to our world. The story is funny, a little raunchy, tragic, surprising and still relevant today - with classic themes and Shakespeare’s comedic brilliance equally brilliant today. So don’t worry if your are not a “Scholar of the Bard”, you will be entertained, inspired and enriched. Dana Babal (Feste) This is Dana’s first show with Prime Stage but he’s no stranger to the Bard. This will be his 37th production of Shakespeare as he continues his quest to direct or act in every Shakespearean play (19 down, 18 to go)! Favorite theatrical productions include Hamlet, Man of La Mancha, Henry V, Sweeney Todd, R&G are Dead, Two Gentlemen of Verona, Winter's Tale, and Jesus Christ Superstar. Next up for Dana are Comedy of Errors and Merchant of Venice with Poor Yorick’s Players where he serves as Artistic Director. You can also find him across the state hosting shows for NonStop Broadway (come join him monthly to sing some showtunes at the Hard Rock Cafe). Dana wishes to thank Monica and Gil for lending their musical gifts and Julie for her constant support. Art DeConciliis (Toby) is pleased to be performing his first role for Prime Stage Theatre in one of his favorite of Shakespeare’s comedies. 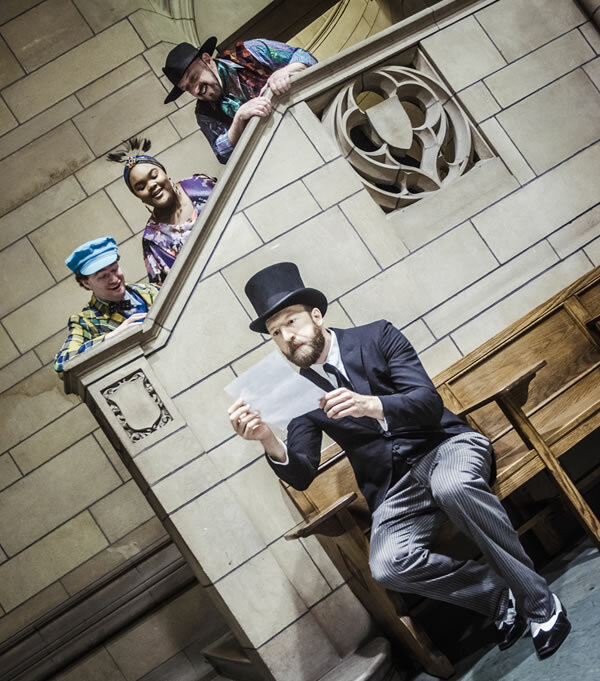 Art has been acting and directing with a number of Pittsburgh theater companies, including Pittsburgh Irish and Classical Theater, Duquesne University, The Theater Factory, Little Lake Theatre Co. and LHRT for more than 36 years. He is a long-standing Board member and former Artistic Committee Chair for Little Lake, where he has been a part of over 160 productions and an instructor of that theater’s acting class program for 23 years. Art was a 2007 Post-Gazette Performer of the Year, and is also an active voice-over artist in both the U.S. and Canada. Favorite roles include Vanya in Vanya and Sonia and Masha and Spike; Kerr in Chesapeake; Marc in Art and Malvolio (and now, Sir Toby) in Twelfth Night. Next up, Art will be seen performing in Electra and directing The Importance of Being Earnest and Cabaret for Little Lake. Love and thanks to his wife and family for their never-ending patience and support. John Feightner (Orsino, Officer 2) John is so happy to be back with Prime Stage, previously seen in The Perks of Being a Wallflower (Father, Mr. Anderson), Strange Case of Dr. Jekyll and Mr. Hyde (Utterson) and, while we're talking about cross-dressing, A Wrinkle in Time (Mrs. Whatsit). He is a comedian and improvisor performing regularly at Arcade Comedy Theater on such teams as Warp Zone, The Playlist, Knights of the Arcade, and LGBTQ*BERT. Other theater credits have included Ubu Roi (Throughline Theatre), Hollow Moon (Vigilance Theater), Serpentine (Uncumber Theatrics), and Detroit (12 Peers Theater), as well as past Shakespeare productions Measure for Measure (Circle in the Water Productions) and Much Ado About Nothing (Bakerloo Theater). Joanna Getting (Maria/Priest/Officer 1) is a Pittsburgh native and Pitt alum who is delighted to appear in her first Prime Stage production. Twelfth Night marks the 17th Shakespeare show or adaptation in which she has acted, assistant directed, or directed (including a turn as Fabian in Twelfth Night more than a decade ago, involving receipt of a cream pie to the face). Favorite Shakespeare roles include Falstaff in Merry Wives, Gloucester in Lear, Princess in Love’s Labour’s Lost, Macduff in Macbeth, and Nurse in Romeo & Juliet. Though she’s been obsessed with Shakespeare since her teens (her kitty is named Tybalt the Prince of Cats, aka Tybs), Joanna collaborates on theatrical projects in a range of genres including development of new works by local playwrights in her role as a founding company member of Non-State Actors. In July she will appear in The New Renaissance Theatre Company’s (NRTC’s) Unrehearsed Shakespeare Project Pittsburgh area tour of The Tragedie of Othello, the Moore of Venice and The Two Gentlemen of Verona, having acted in the 2017 and 2018 tours. She is an NRTC company member who recently assumed the position of Community Connections Coordinator. Huge thanks to Megan and Andy. Infinite love and gratitude to Mom, Dad, Tybs, and Brad. Matt Henderson (Andrew) previously appeared in Prime Stage's productions of Walk Two Moons, The Scarlet Letter, and The Westing Game and is also on Prime Stage's staff as Social Media Manager. He has worked with many theatre companies throughout the Pittsburgh area, including PICT Classic Theatre (The Old Curiosity Shop, Romeo & Juliet, The Lion in Winter), 12 Peers Theater (Mythburgh, Mr. Burns, a post-electric play, Thom Pain (based on nothing), White Rabbit Red Rabbit, Colorado, the Pittsburgh Monologue Project), Bricolage (Bazaar, B.U.S., Midnight Radio, Jr. - Mad Science Lab and Underwater Voyage, Midnight Radio - Animated Holidaze, Speech & Debate, Weightless), City Theatre (the Young Playwrights Festival), Saint Vincent Summer Theatre (Suite Surrender), No Name Players (Fixing King John), Off the Wall (boom), Throughline Theatre (The Farnsworth Invention), TACT (Rosencrantz and Guildenstern Are Dead), Stage Right (Tink, The Little Mermaid), and Cup-A-Jo Productions (Unhinged II and Hospitality Suite). Up next, he can be seen in 12 Peers Theater's production of Everybody this summer. Carolyn Jerz (Viola) is thrilled to make her Prime Stage debut in Twelfth Night. She has previously performed with PICT Classic Theatre in Jane Eyre, The Merchant of Venice, Oliver Twist, and Great Expectations. A three-time winner of Pittsburgh Public Theater’s Shakespeare Monologue Contest, she’s also played Luciana in A Comedy of Errors and Puck in A Midsummer Night’s Dream. Twelfth Night caps off an amazing twelve-month experience in which she’s performed as Maria in West Side Story, Maggie in A Chorus Line, Phoebe in the drama Full Bloom, Teen Fiona in Shrek, the Dew Drop Fairy in The Nutcracker (25th Anniversary w/ the Westmoreland Symphony Orchestra), and Mrs. Lovett in a student production of Sweeney Todd. She also participated in Stage Right Greensburg’s Guinness World Record attempt at Fastest Musical Production, rehearsing & performing Children of Eden in 14-½ hours. She is very grateful to be part of this wonderful show! Everett Lowe (Malvolio) is delighted to return to Prime Stage and with the Bard, no less (making him feel all the more erudite). Everett appeared previously in Prime Stage productions of The Great Gatsby, The Importance of Being Earnest, and A Lesson Before Dying. A performance theater graduate of Geneva College and Pittsburgh native, Everett has been privileged to work with many other theater companies and festivals around the city, including 12 Peers Theatre, No Name Players, Throughline Theatre, Pittsburgh Playwrights Theatre, Pittsburgh Fringe Festival, Little Lake, Cup-A-Jo Productions (where he serves as Managing Director), and many more. Favorite past productions include The Ruling Class and The Last Days of Judas Iscariot (Throughline), Who's Afraid of Virginia Woolf? (Cup-A-Jo), Mr. Burns, a Post-Electric Play (12 Peers), and The Lion in Winter (Little Lake). Many thanks to Andy and to the incredible cast and crew for this wonderful experience. Love to Tiffany and Desmond, and to my family and friends for their continual support. Malcolm MacKenzie (Sebastian) has been a young actor and performer in the Pittsburgh area for over 5 years. Not a stranger to Shakespeare, he has worked extensively with the Monroeville based company Poor Yorick's Players where some of his favorite roles have been Benvolio in Romeo & Juliet last summer as well as Prince John of Lancaster (Henry IV) and Moth (Love's Labours Lost) in summers past. 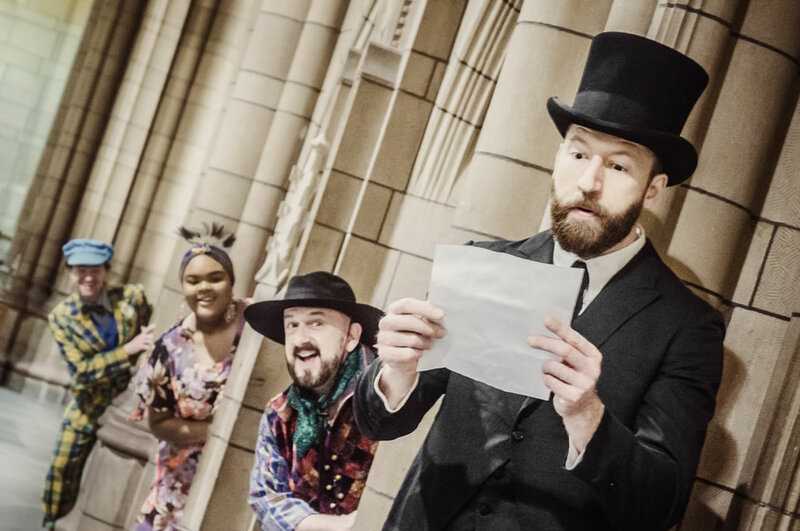 Malcolm was seen this past fall in The Pittsburgh New Works Festival, where his performance as Adam in Ashley Rice's play Malum made him a finalist for Best Supporting Actor in the festival-wide Donna Awards. Most recently he played Christopher Wren in The Mousetrap at The Theatre Factory. Malcolm is a graduate of Pittsburgh CAPA's theatre department and will be attending Penn State in the fall to pursue a BFA in acting. He thanks his little theatre family here in Pittsburgh for their continued support and encouragement. Enjoy and make merry! Adam Rutledge (Antonio, Curio) Adam is happy to make his return to Prime Stage, having previously appeared in Romeo and Juliet, Twelve Angry Men, and The Outsiders. Adam has appeared in the Pittsburgh area with several other companies as well, including The New Renaissance Theater Company (The Pittsburgh premiere of Wittenberg and Unrehearsed Shakespeare Project Tours since 2014), Pittsburgh Shakespeare in the Parks (King Lear, As You Like It, and others), and Poor Yorick's Players (King Henry IV parts 1 and 2, and others). 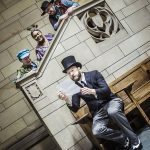 He also appeared at the first five Pittsburgh Fringe Festivals as part of Brawling Bard Theater. Adam directed Romeo and Juliet and The Tempest for Poor Yorick's Players and he is a fight choreographer and stage combat educator with training under the Society of American Fight Directors since 2004. Raecine Singletary (Captain/Fabienne) is blessed to be making her Prime Stage debut with such a talented, funny, and welcoming cast. Raecine is a Baltimore native but is currently pursuing her BA in Theatre Arts at Point Park University in Pittsburgh. She recently made her Point Park Conservatory debut in Helen Edmundson’s Coram Boy directed by Tomé Cousin. She would like to thank her parents and friends for being such a strong support system and Andy for giving her the opportunity to be in such an amazing and timeless show. She would also like to dedicate this performance to her late grandfather. Alison Weisgall (Olivia) is thrilled to be making her Prime Stage debut. Off-Broadway and New York credits include Nature Theater of Oklahoma’s Life and Times Episodes 1-4 (The Public Theater – Obie Award for Special Citations; Festival d’Avignon; Theatre de la Ville; Berliner Theatertreffen; Kaaitheater; Burgtheater; etc); Romeo and Juliet (Classic Stage Company); The Angel of History (HERE Arts Center); Jack Perry is Alive (and Dating) (Ars Nova ANT Fest); The Winter’s Tale (Columbia Stages); The Frankenstein Project (Columbia Stages); Rag Fur Blood Bone (TriBeCa Performing Arts Center); Sistahs (Underground Zero Festival); Why’s He Drinking Coffee? (Underground Zero Festival). Regional credits include On the Town (The New Hazlett Theater with Resonance Works); Proof (Pittsburgh Classic Players); Everyman (Forum Theatre); Save the Leopard (Spooky Action Theater); The Glass Menagerie (Winnipesaukee Playhouse); Almost, Maine (Winnipesaukee Playhouse); and Theophilus North (Winnipesaukee Playhouse). She currently teaching acting at Chatham University with a BA, MFA from Columbia University. Thank you to my family for making this possible. Performances are typically 2 hours long plus one intermission. - Drive past the theater and follow Allegheny Square East as if you were going back out onto East Commons. The Allegheny Health Network garage will be on your left. - Pull in and a uniformed parking attendant will collect your fee. NOTE: The lot will close one hour after the show. For various events, security is on site to direct you to available parking options. Parking for sporting events impact space available near the Theater. Please check your local listings to see if the Theater’s event conflicts with our local sports teams.